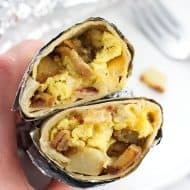 Every few months I find myself in a breakfast rut, where all of my go-to options seem tired and I’m in need of something new. Usually I’ll cycle through foods and start craving them again before too long…except if you’re a bowl of vanilla Greek yogurt/frozen strawberry chunks/bran cereal. After a solid year+ of breakfasts, I never want to see you again. 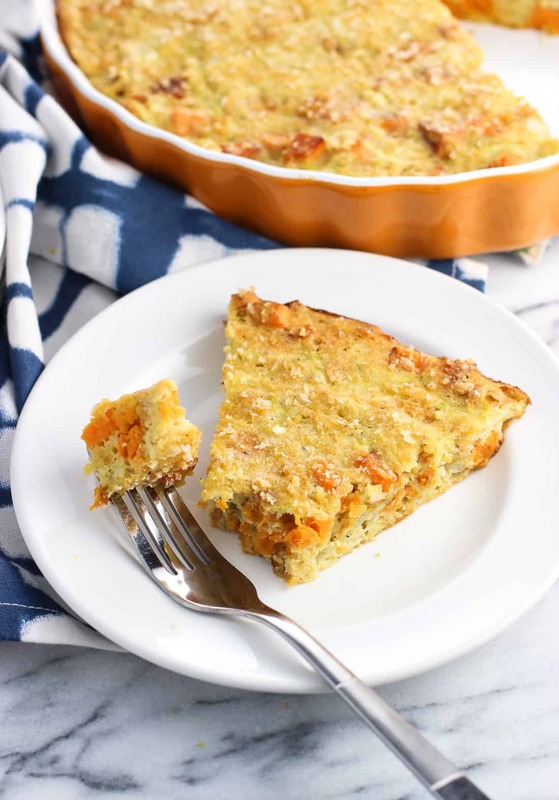 This easy sweet potato zucchini pie is my latest morning crush! 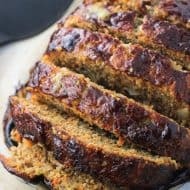 It satisfies my A.M. savory cravings, makes several servings at once, and is versatile enough that it can act as a light lunch or dinner, too. 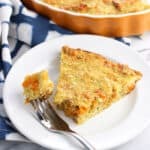 There’s no need for a crust as the Bisquick forms one as it bakes, and really – you can throw in whatever vegetables/cheese/meat you like to make this yours. It’s a simple way to use leftover sauteed veggies, that last little bit of cheese, an extra cooked chicken breast, etc. 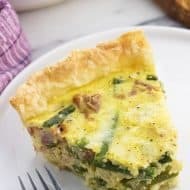 While I wouldn’t go as far to say it’s quiche-like, it definitely stands in as a healthier alternative. There’s no pie crust, for one. Then there are three eggs, with shredded zucchini blending right in and adding super low-calorie heft and moisture. 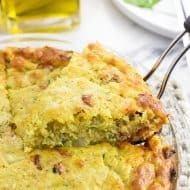 The onions cook and soften perfectly as the zucchini pie bakes, so there’s no need to saute them ahead of time. And one-half cup of Parmesan cheese rounds out the cheese portion, but you can use whatever cheese you prefer. 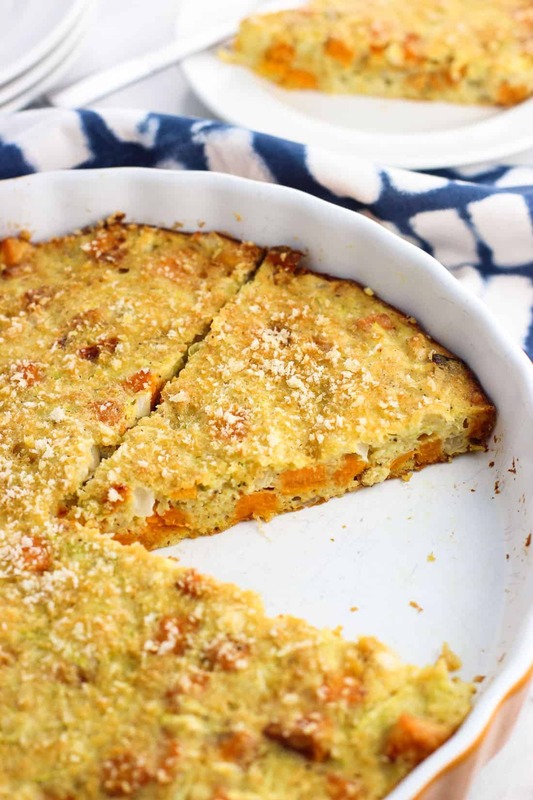 This zucchini pie recipe definitely has wiggle room for you to put your own spin on it. But I have to say: for some reason when I make this zucchini pie, I have a tendency to leave out the Parmesan. 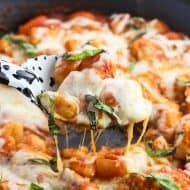 Maybe I just get excited about adding all the veggies that I forget to pull the Parm out of the fridge? Not sure…but I can say with certainty that we still love it without! You are SOOO speaking my language with this, Alyssa! I’m forever in a breakfast run (eating oatmeal as I type). 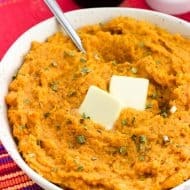 Zucchini and sweet potatoes are two of my favorite things. . .I’m gonna have to give this a try! Thank you!